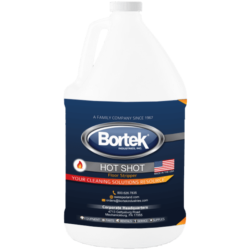 A nonflammable concentrated cleaner & degreaser for use on medium to heavy industrial soils on machinery, floors, walls, and more. 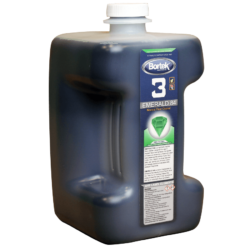 Emerald 84 is a fully synthetic floor cleaner for daily use. 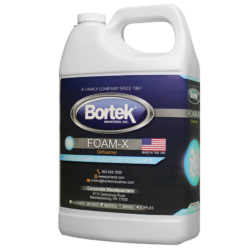 It won’t damage the gloss or film of the floor finish, but will neutralize cleaner residue. 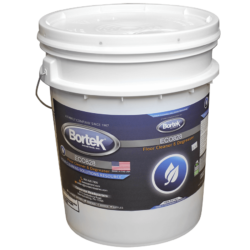 It contains optical brighteners and dissolves all ice melt and hard water films. 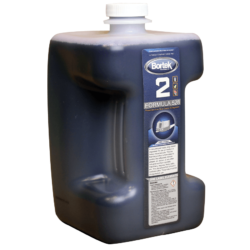 ECO 828 is an effective and environmentally friendly floor degreaser and cleaner. 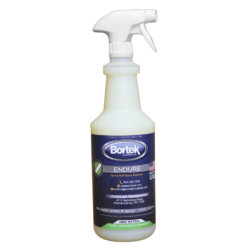 It is ideal for use with Bortek’s automatic floor scrubbers, pressure washers, the traditional mop and bucket or spray applications and safe for use on surfaces unharmed by water. 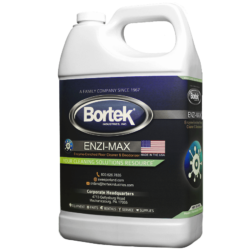 Enzi-Max is a concentrated suspension of enzyme-producing bacteria designed to digest solid waste including starch, carbohydrates, protein, grease, fats, and cellulose. 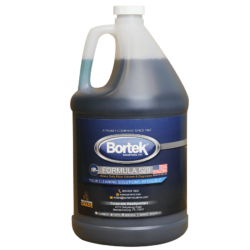 It is useful for spotting stains on fabrics, toilet bowls and restroom surfaces, grease traps and drains, sewage plants, sumps, septic tanks, and portable toilets. 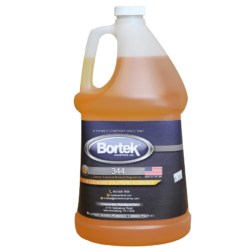 Formula 828 is designed to instantly emulsify grease and oily soil. It is ideal for use with Bortek’s automatic floor scrubbers, pressure washers, and the traditional mop and bucket or spray applications. 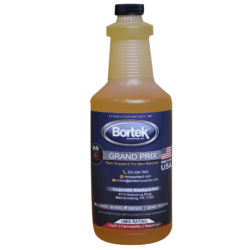 A low odor, concentrated, high-powered floor stripper. Able to remove floor finishes completely with one pass without requiring a neutralizer. This unique formula provides the lowest end-use cost per gallon due to its high concentration.